The County Attorney’s Office provides legal counsel and advice in civil matters to the Board of Supervisors and other boards, agencies, and officials of the county as directed by the Board. The office drafts ordinances and resolutions to implement policy decisions of the Board of Supervisors, represents the county in litigation and in prosecuting County Code violations. The County Attorney’s Office does not provide legal advice or opinions to citizens and cannot represent citizens in personal or private legal matters. If you need private representation, you may wish to consult your personal attorney, contact Legal Aid at (434) 977-0553, or the Virginia Lawyer Referral Service at (800) 552-7977. Please visit our online Code of Ordinances to access the Code of Ordinances of the County of Orange, Virginia. The text of the Code of Ordinances of the County of Orange, Virginia is made available online as a convenience to citizens and the legal community. Although every effort has been made to ensure the accuracy of this online version of the County Code, please be advised that the only official edition of the Code is the printed version maintained by the Orange County Attorney. Downloaded versions are not official. 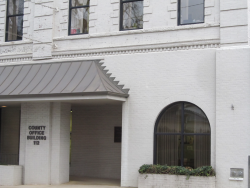 A copy of the printed Code of Ordinances of the County of Orange, Virginia is available for review by the public during regular business hours in the Office of the County Administrator. How do I speak with the County Attorney about my traffic ticket or criminal case? How can I find out whether something is legal in Orange County?